Living a Crafting Life: Mojo is Back! After a long break from crafting and blogging, it's good to be back with some new layouts, cards and challenge posts! The first sketch is this one for Make it Monday # 35. For this layout, I used the remainder of the 2010 Fancy Pants collection on hand called "My Family". The only additions were Basic Grey chipboard letters, along with a few gems. Again for this layout, I grabbed one of my sleeves with what I had left of the 2010 Little Yellow Bicycle's "Twig"collection. Once I started to follow the design, I remembered this photo and the page took on a different twist. The back layers are probably the only original item from the sketch, but I am happy with how this turned out. In addition to the collection paper and embellishment sheet, I added the chipboard title phrases from K & Company. There is still time to take part of these challenges, where you could win a gift certificate from The Memory Nest store. I hope this post will inspire you to get out those old collections and use them up! Welcome back to scrapbooking. Being a Stampin' up constultant sounds like so much fun. You did a great job with both sketches. Thank you for joining us at the Memory Nest. Your break didn't affect a thing!!! Both terrific LOs! thanks for sharing and joining us at THE MEMORY NEST!!! Super pages and it must feel so good to get crafting again. Love the photo and colours of the first page and the way you've gone so off sketch on the second. Thanks for sharing at The Memory Nest. 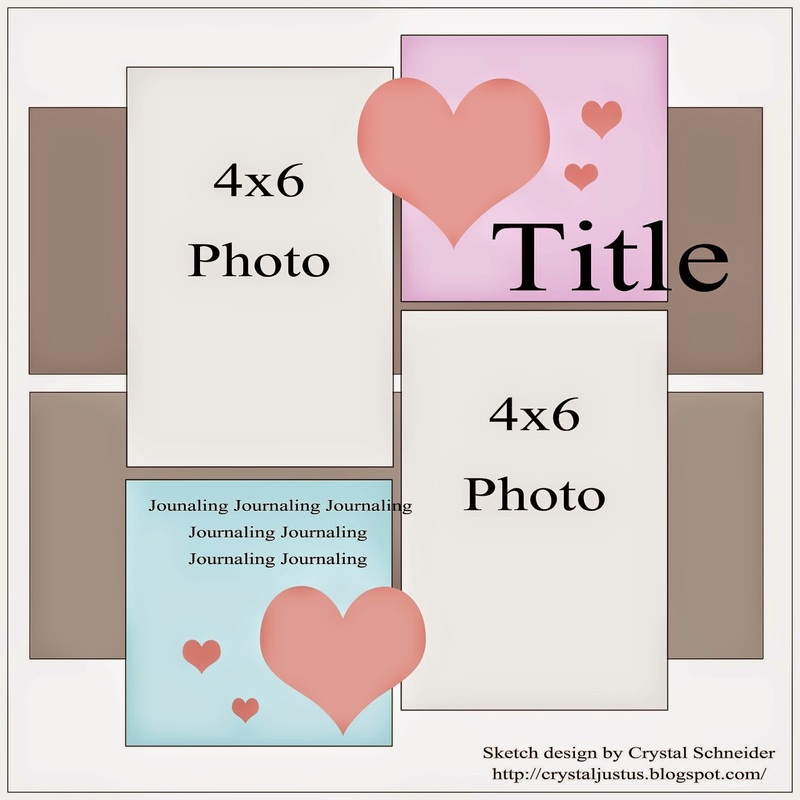 Well, with these 2 layouts, you are certainly back to scrapping with a very creative force! 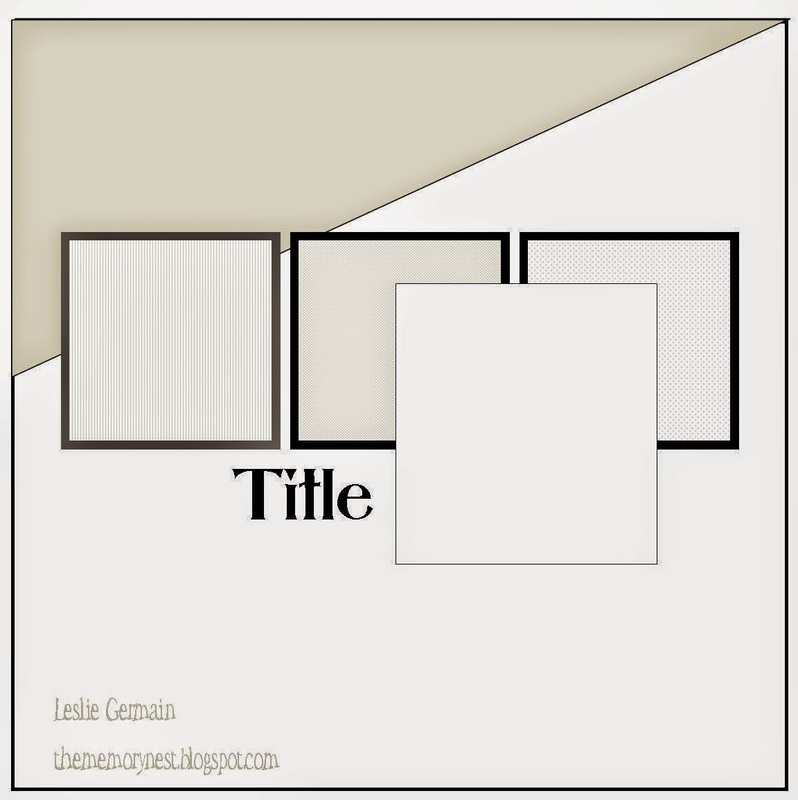 Love your paper selections and combinations! Embellies and titles are super too! Thanks for playing along with us at the Memory Nest!! Love both layouts. They are so pretty. Thanks for joining us at the Memory Nest.